A representational oil painter, Mike Irvin depicts many subjects with southwest, ranching, and western themes. 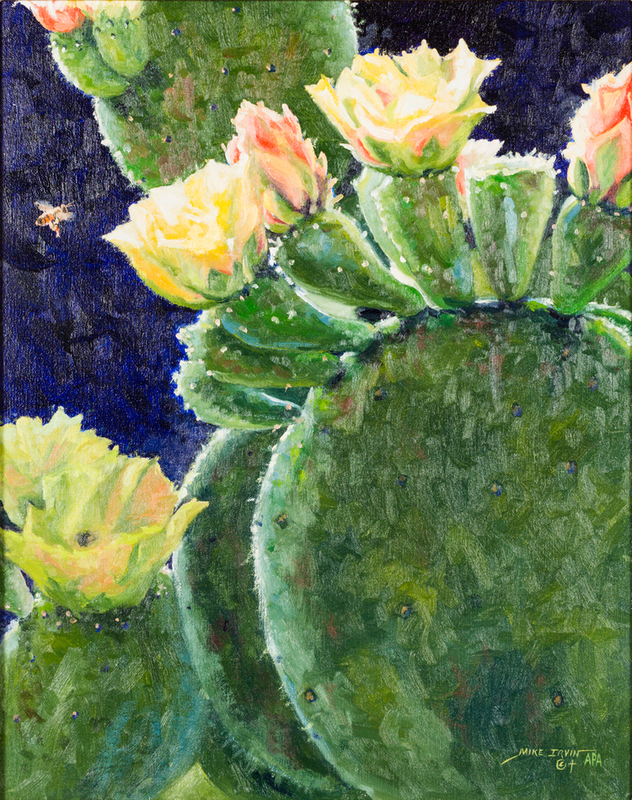 Though he has always been involved with art, Irvin retired from a corporate career in Dallas in 2000 to ranch and paint in Clifton, and continues to be inspired by the landscape and strong artist community in the region. With his strong sense of color and composition, Irvin’s topics will be very familiar to the central Texas audience. Irvin has traveled to many parts of Texas and new Mexico to photograph, draw, and paint the places and people who you will see in the exhibition. A selection of the works in the exhibition are displayed in the gallery below. To view more of this works, visit his website at mikeirvinart.com.